David Miller, the man of the moment. Simon Carter got the chance to chat to Protea batsman, David Miller on his mammoth innings against rivals Australia as South Africa lead the series 3 – 0. It had always been a dream of mine to play a sport for South Africa whether it is cricket, rugby or soccer. I was never really good at any of those, so I had to come up with other ways of being noticed and recognised. Luckily, now that I work at East Coast Radio I get to live out my sporting dreams vicariously through the sports stars I meet. When David stepped out to bat against Australia he knew the pressure of the ticking scoreboard. He had teammates falling away from him until local boy, Andile Phehlukwayo stepped up and steadied the ship. The two batsmen put on an unbeaten partnership of 107 off 70 balls with David putting in a total knock of 118*. A superb performance from a superb cricketer who had the BMT to see the match all the way. I sincerely hope David gets a lot more chances in the first team and I am holding thumbs that he breaks back into the Test Team. I was lucky enough to catch up with the man himself before the team drove off to PE for their 4th ODI. Take a listen to the man of the moment.
.@OfficialCSA Pure #ProteaFire well done team! 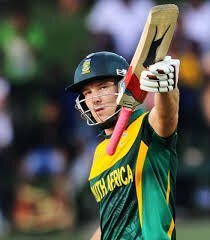 @DavidMillerSA12 you beaut!